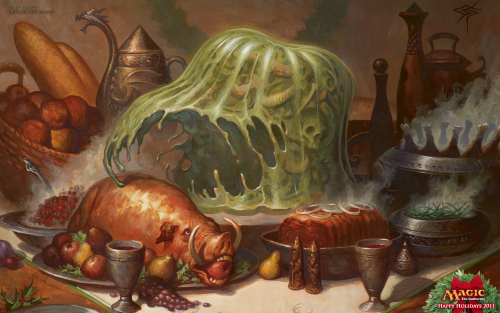 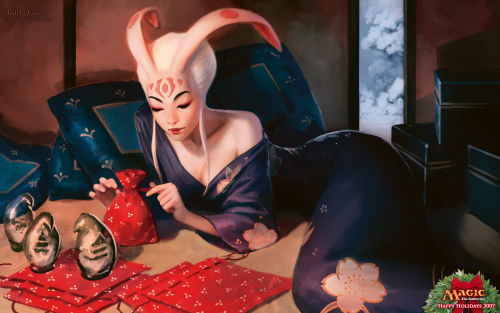 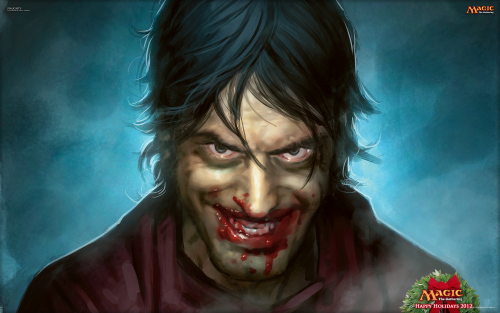 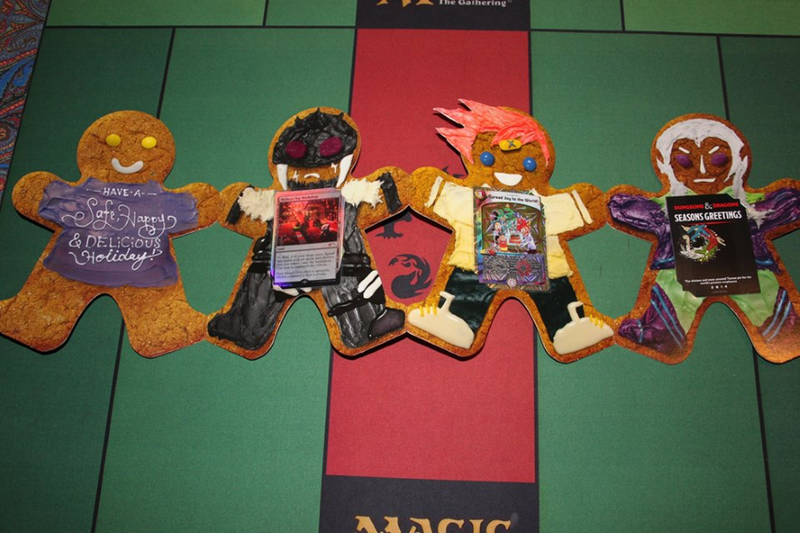 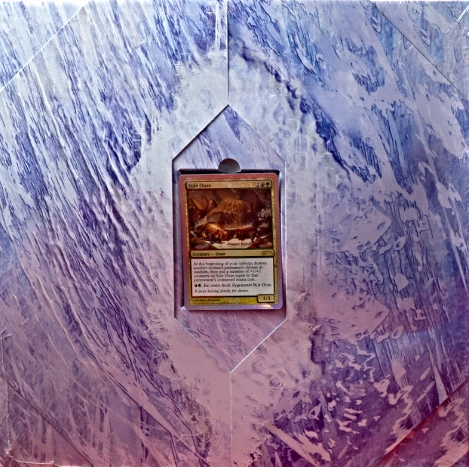 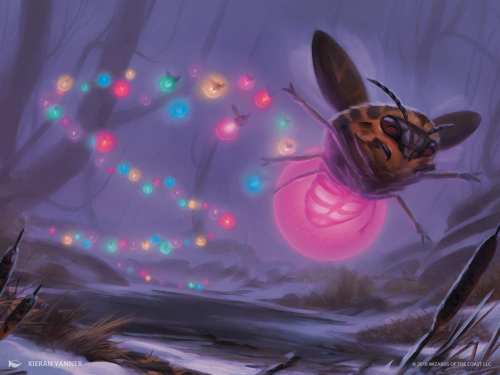 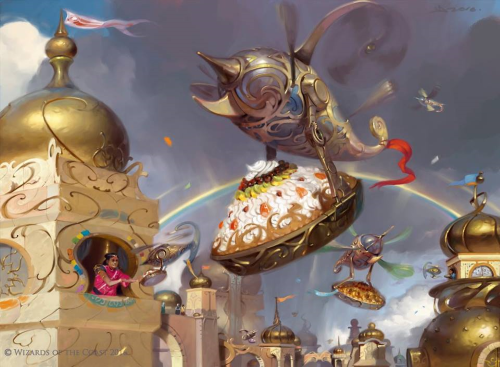 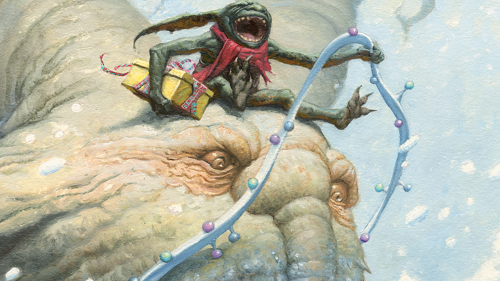 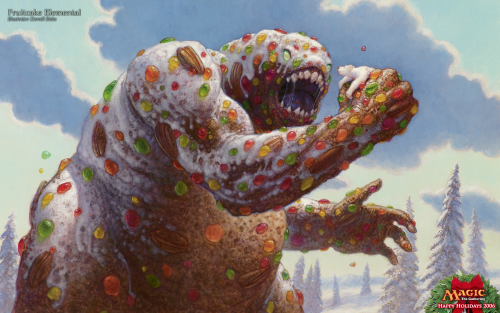 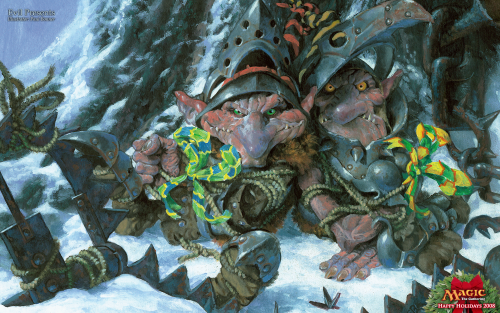 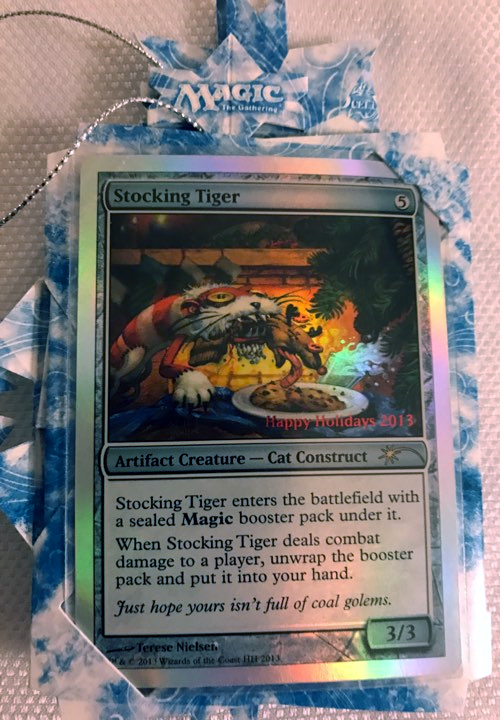 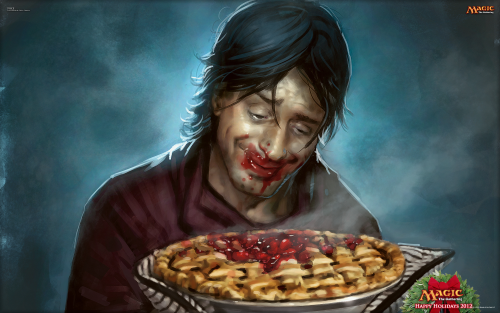 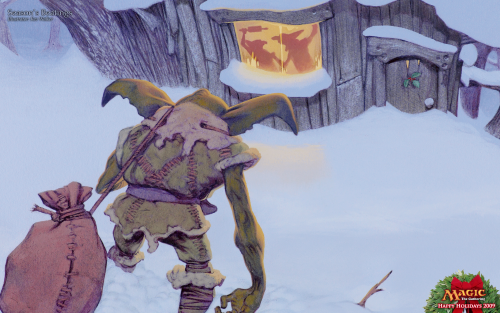 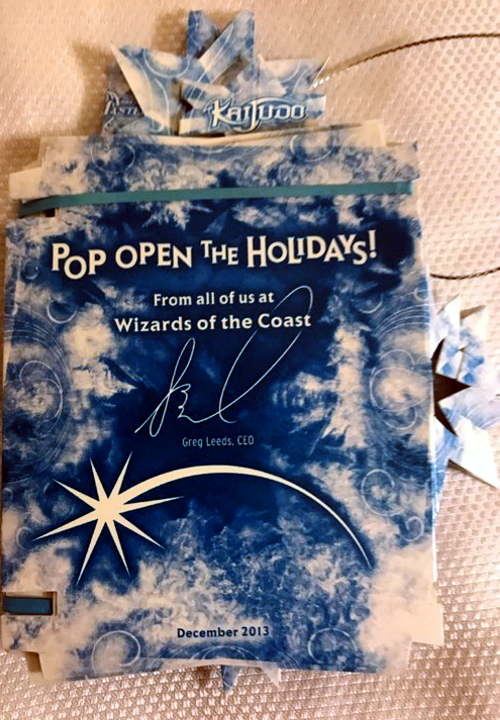 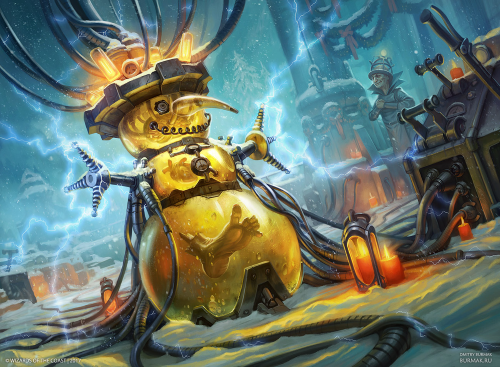 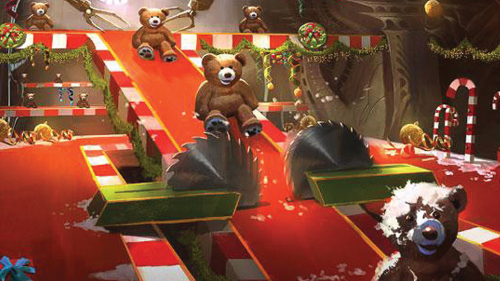 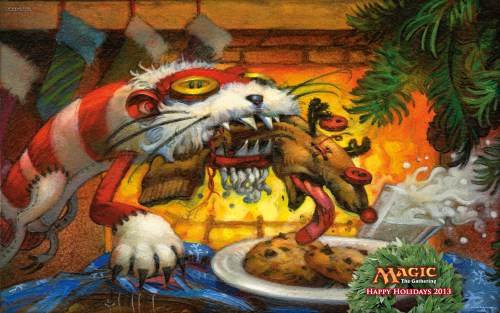 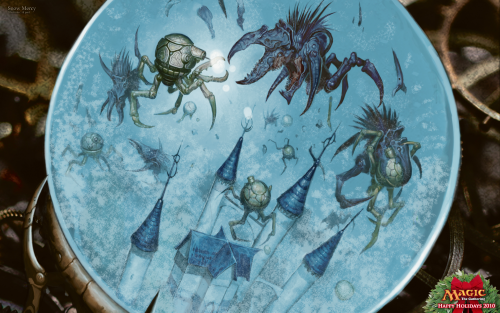 The Happy Holidays cards are tournament prohibited fun Foil cards, which were given out to Wizards of the Coast internal teams and business partners. 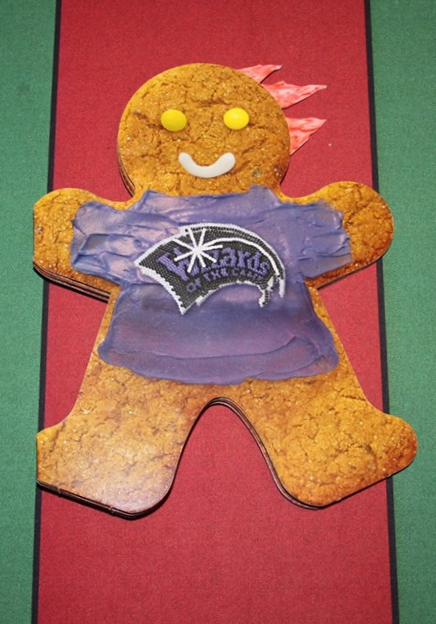 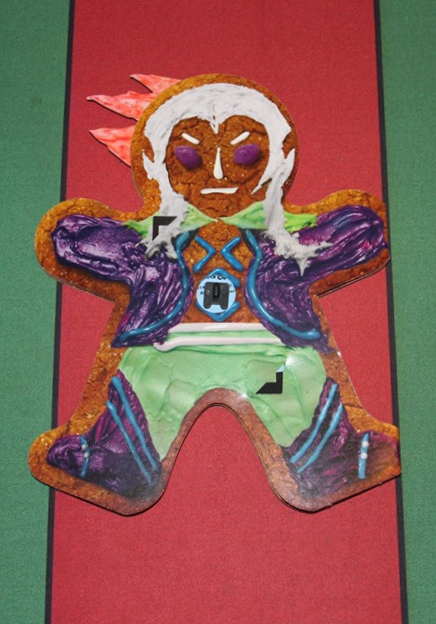 001 HH 2006 Fruitcake Elemental Darrell Riche Holiday gift to Wizards’ internal teams and business partners. 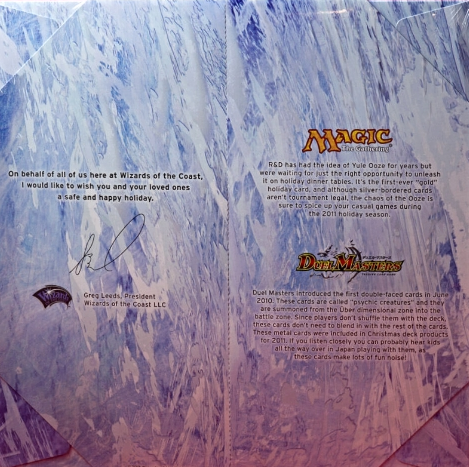 001 HH 2007 Gifts Given Jason Chan Holiday gift to Wizards’ internal teams and business partners.